Gorgeous Expanded Contemporary With Colonial Feel & Garage. Located In Beautiful Copiague Harbor!! 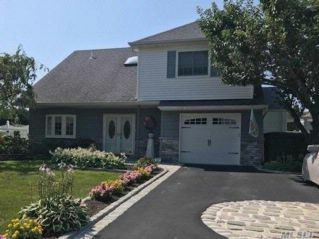 New Baths, Kitchen, Hardwood Floors, Custom Closets, Alarm, Pool, Professionally Landscaped ,All New Custom Anderson Windows, Patio, Driveway & Cobblestone Walkway. Custom Outside Kitchen, Sprinkler System, Outside Awning. Private Beach, Marina, & Boat Slip Available. Will Not Last!! BRING ALL OFFERS! !